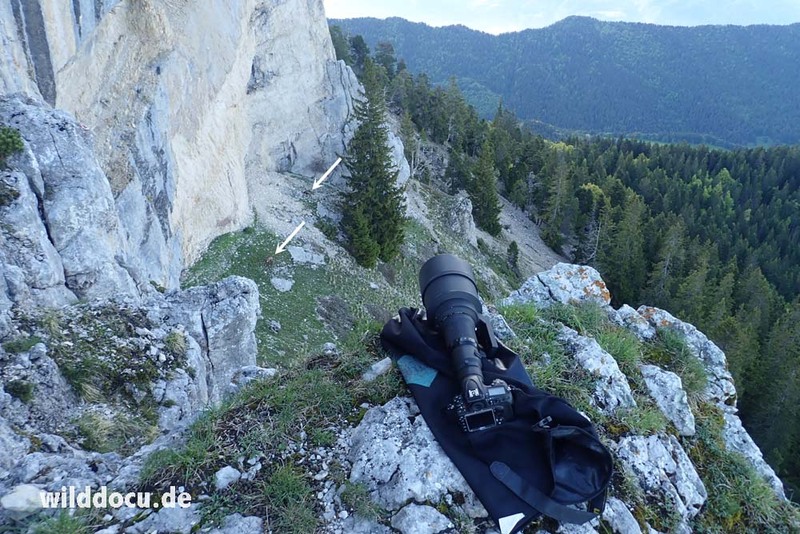 I basically had 15 hours on May 3rd and 4th 2018 during a family trip to look for Chartreuse Chamois. 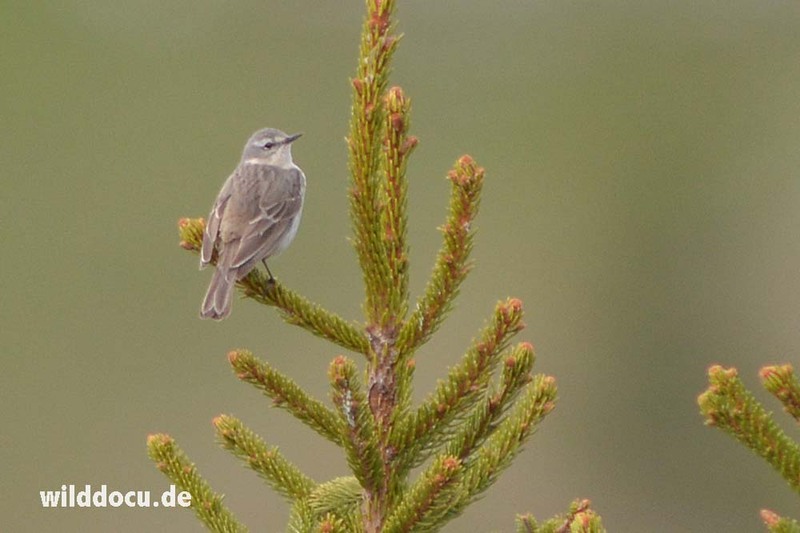 I got great views of this subspecies. 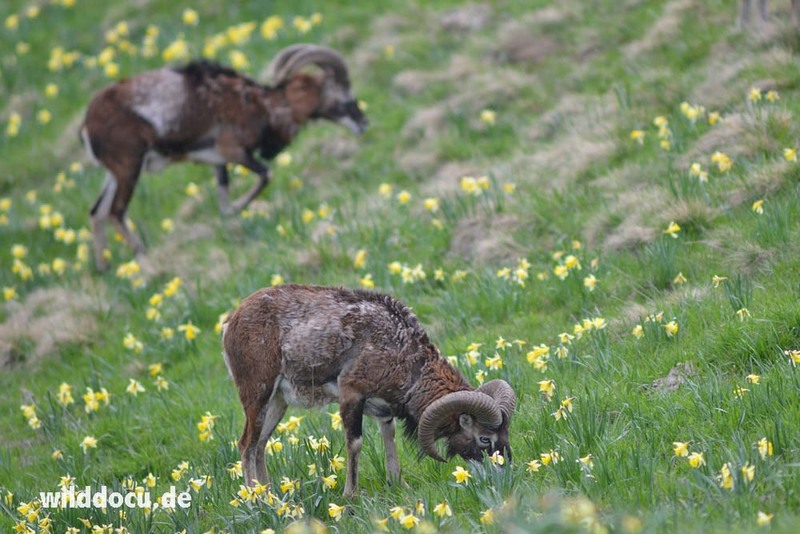 And almost better: I detected – from my point of view – the best place for Mouflon. 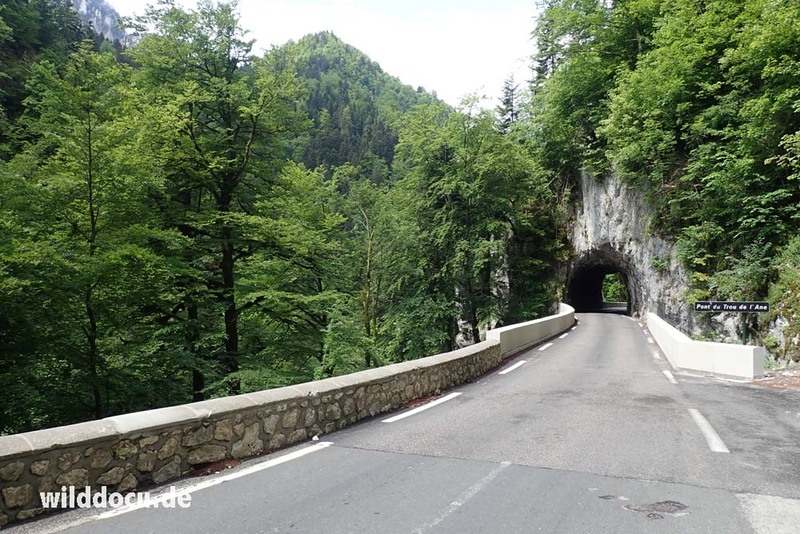 If you come from the north, leave highway A 41 near Chambéry to continue on D 1006 and D 512. This narrow, romantic road gives you a good introduction into the area. 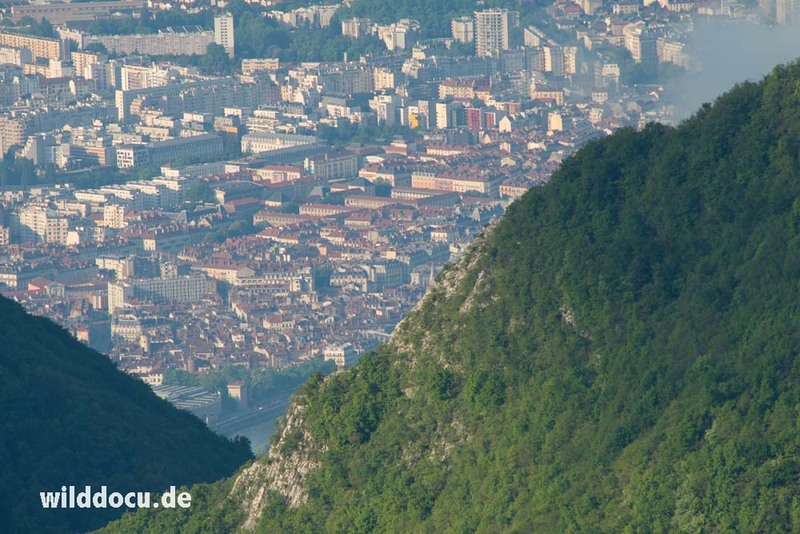 Drive in the direction of St.-Pierre-de-Chartreuse and then towards Grenoble. At the pass „Col de Porte“ (1326 m asl) you can park your car. I start hiking at around 5 pm. Interrupted by rain and hail, it takes me one and a half hour to reach chamois habitat at around 1700 m asl on Le Chamechaude (2082 m asl). At timber line I find my first chamois, a lone male. 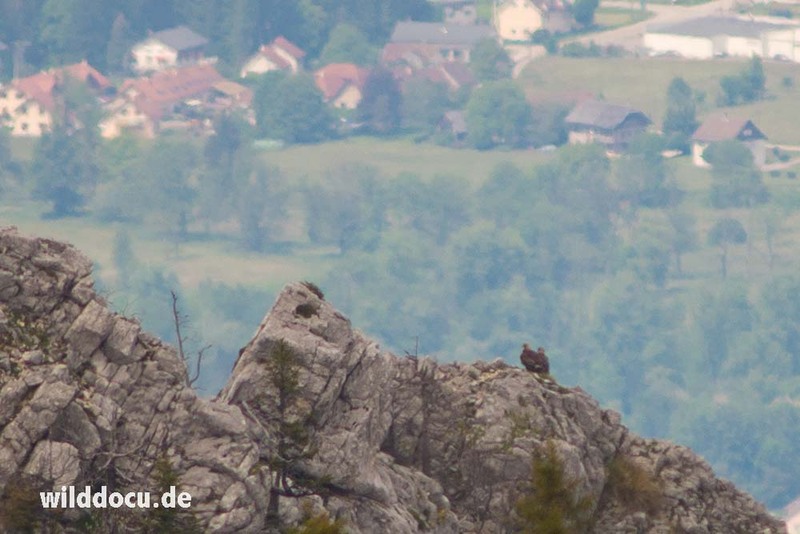 I spend some time with him, sitting and observing it from some distance (around 50 m). 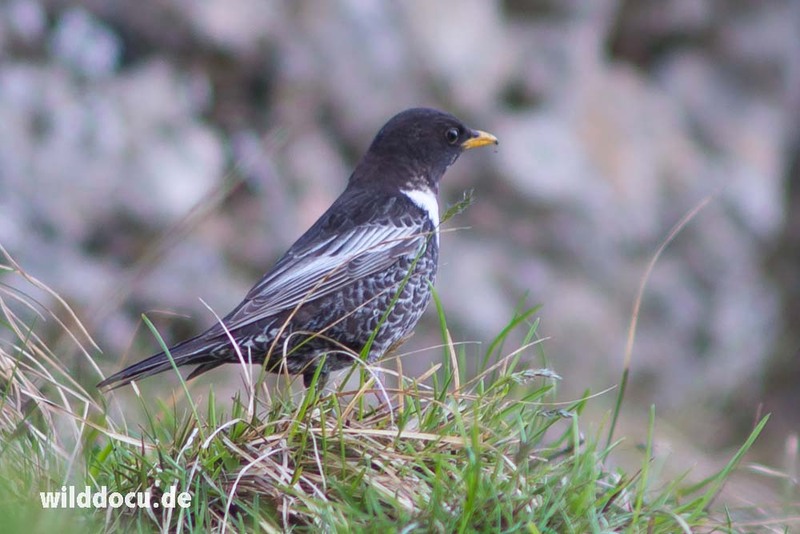 A Ring Ouzel says hi, while I try to concentrate on my chamois. A great moment is when a Black Grouse flies in from above, surprising me – and the chamois. The chamois ducks first and then bales out for a few metres. 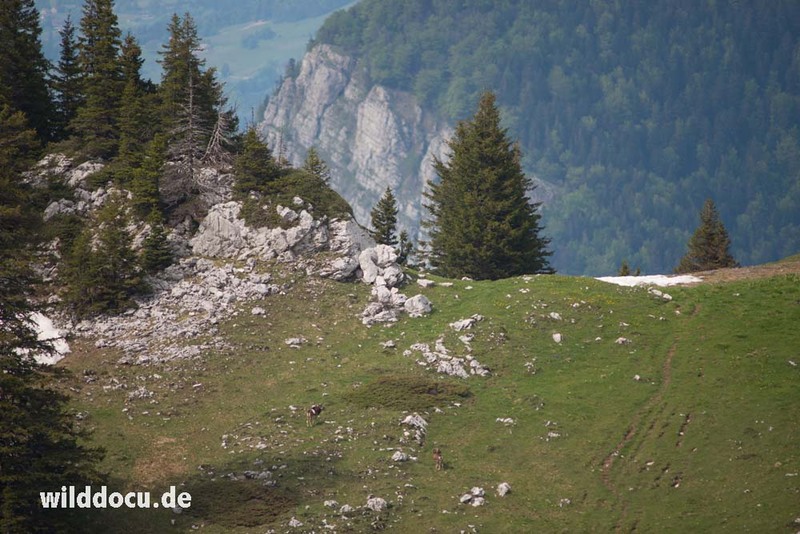 For me this is a sign that chamois in the area have to expect predators from the air. 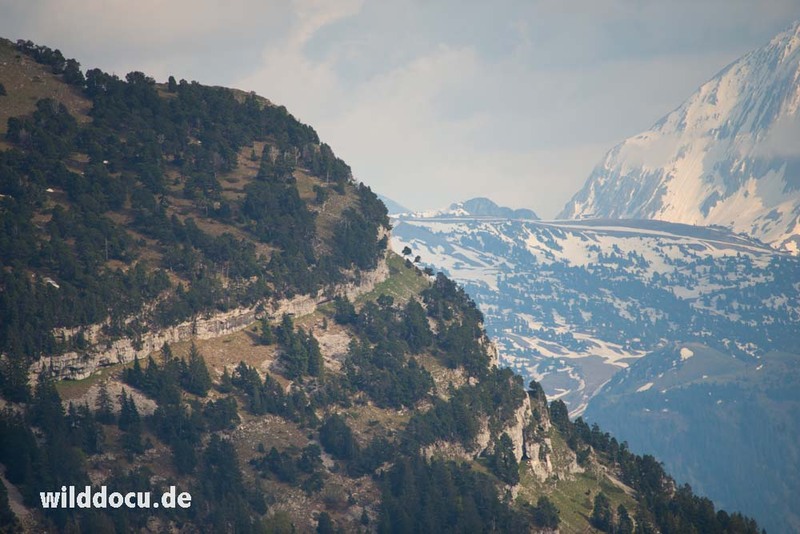 (The next day I see a couple of Golden Eagles, which are known to prey on chamois kids.) 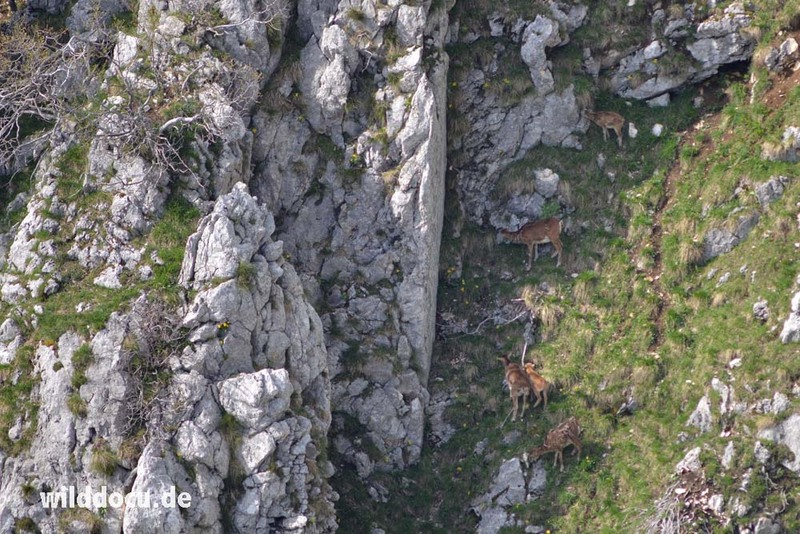 Further up I get to see a group of six more chamois (mothers and kids). But its getting dark and I have to make my way down. Next morning I am back early. 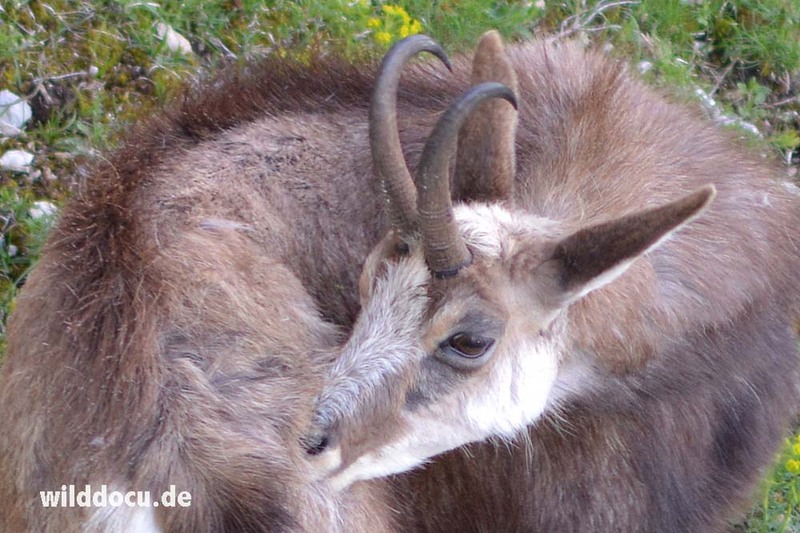 I hike to the most southwesterly corner of the mountain, where I discover two more chamois males, which give me good looks. The population is hunted, but at this time of the year the animals are not shy at all. 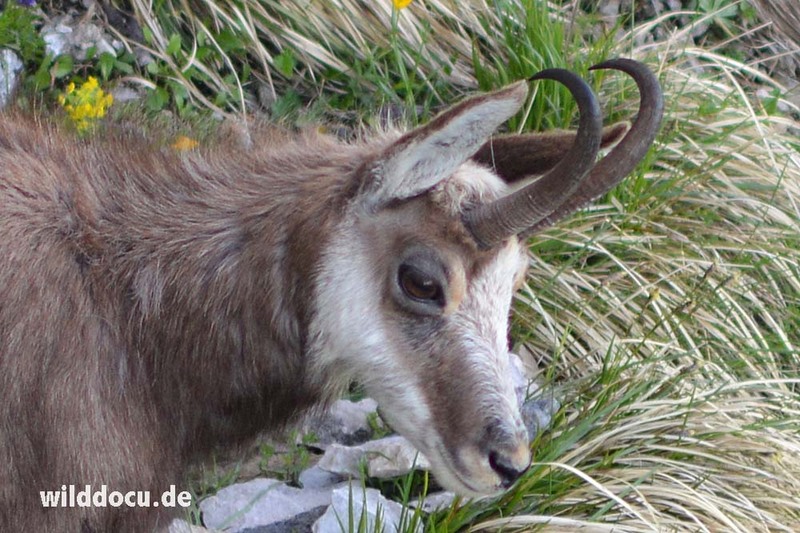 They are on average a bit smaller than the Alpine Chamois (Rupicapra rupicapra rupicapra), but this is hardly detectable in the field. 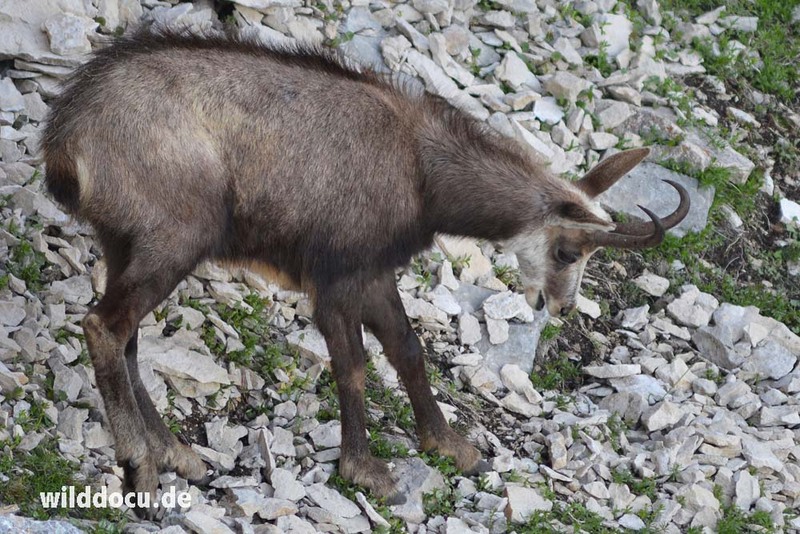 Chartreuse Chamois are said to have thicker horn bases – again hard to see in the field without comparison. A creamcoloured neck patch is said to be also typical for this subspecies. 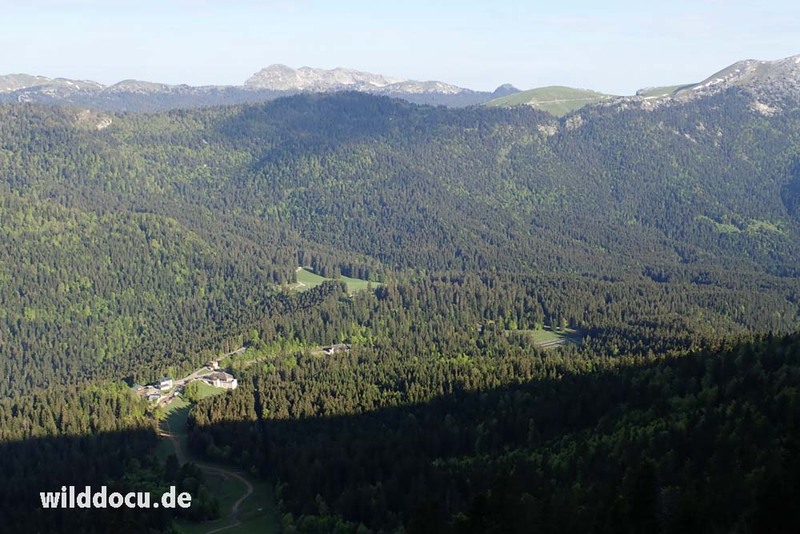 But in May, when I visited the Chartreuse Mountains, it was not be expected to see this feature. I have to come in winter again. 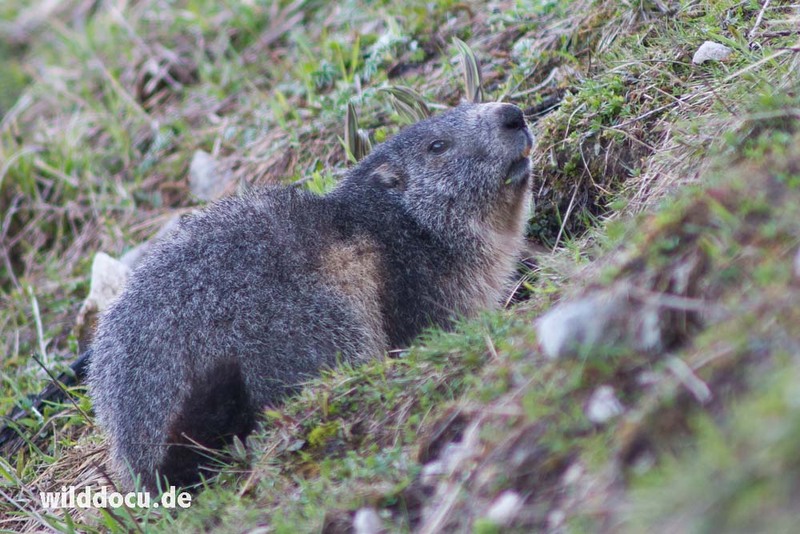 On the way back I encounter a first Marmot – again a rather friendly animal. At about 9 am I am back for breakfast. We then take the small road west of Col de Porte towards the Chalet de Charmant Som. Luckily we find this 4-km-long road to be open, since it is closed during the winter, which can last until May or even June. 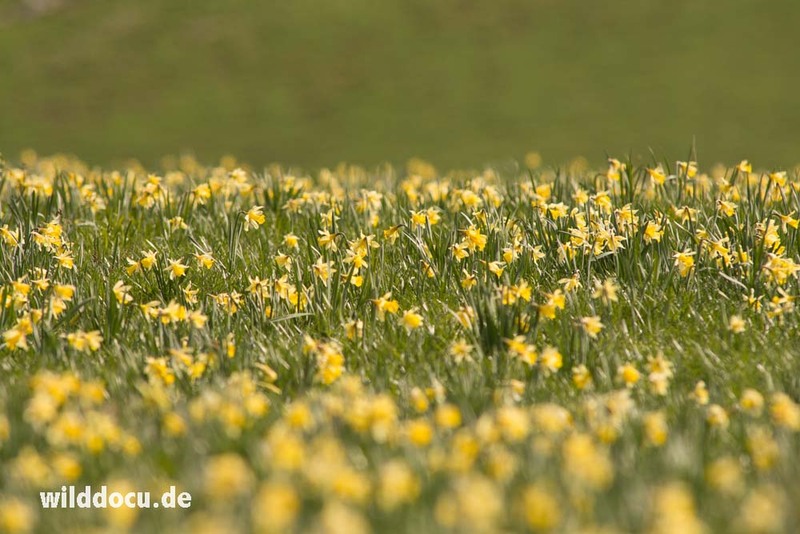 When we arrive, it is too late and busy to see any wildlife, but we are overwhelmed with the millions of daffodils that cover the slopes of Le Charmant Som (1867 m asl). 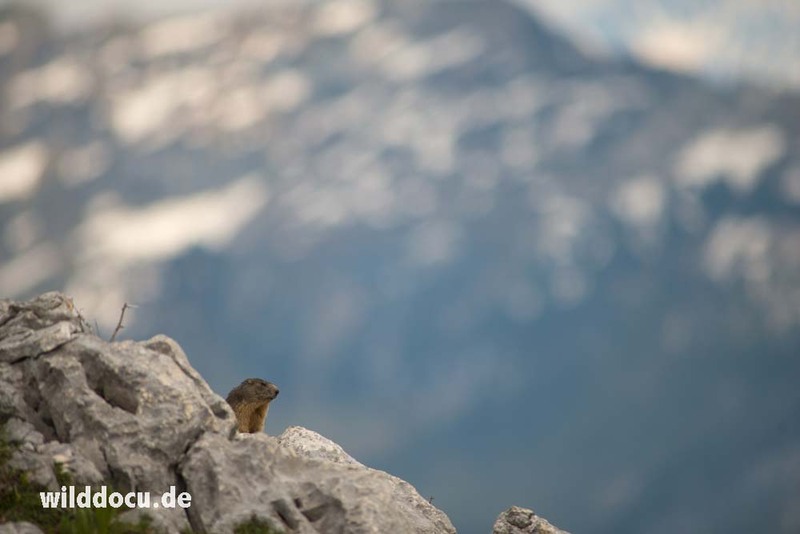 We ascend to this easy to climb mountain to find two more marmots. 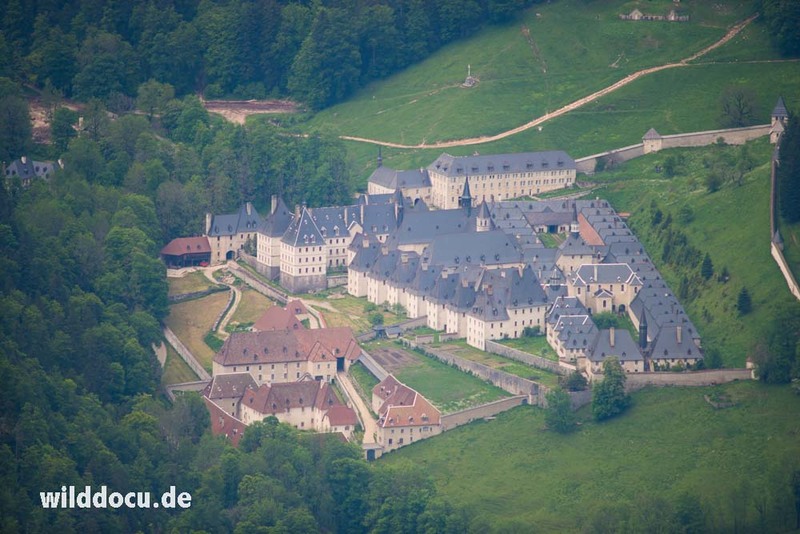 From the top you have good views towards Grande Chartreuse, the head monastery of the Carthusian order that was founded in 1084, which probably gave name to the area and the chamois. 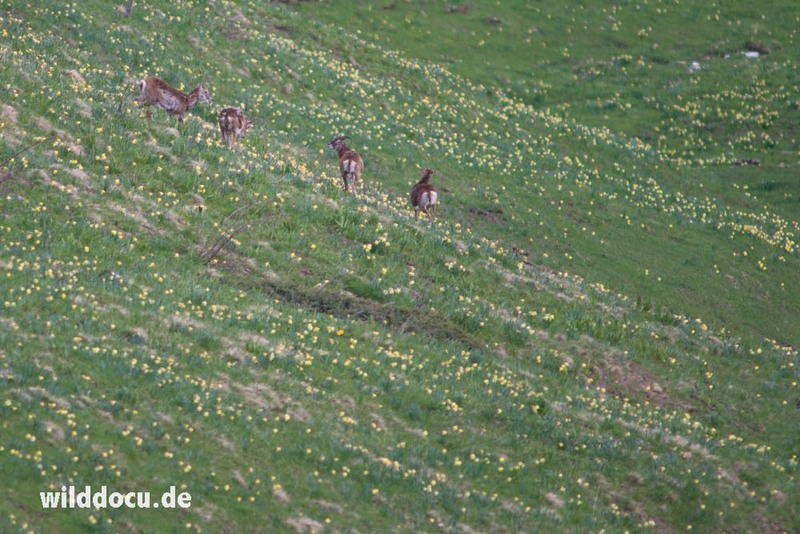 On the hill towards the northwest we observe our first European Mouflon in the distance – first two males, later a female-young-group with five and another one containing eight animals. 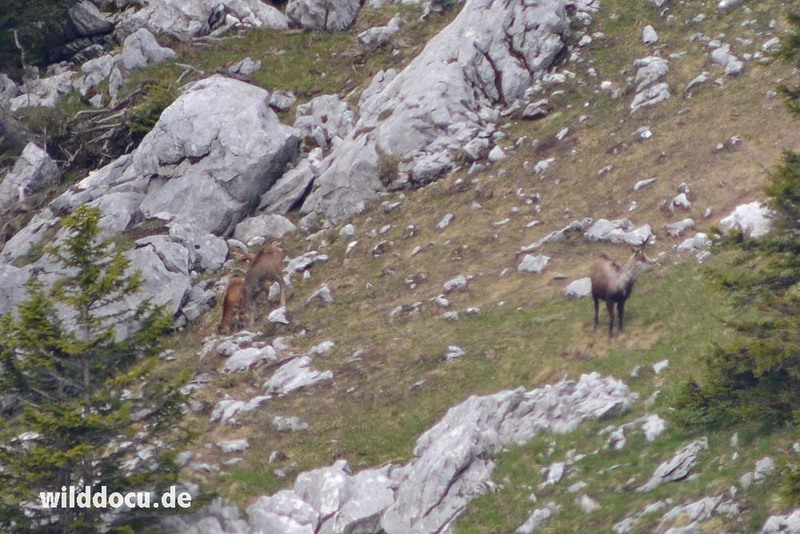 I also witness a short encounter between two Mouflon and a Chamois. The highlight happens on the way out. 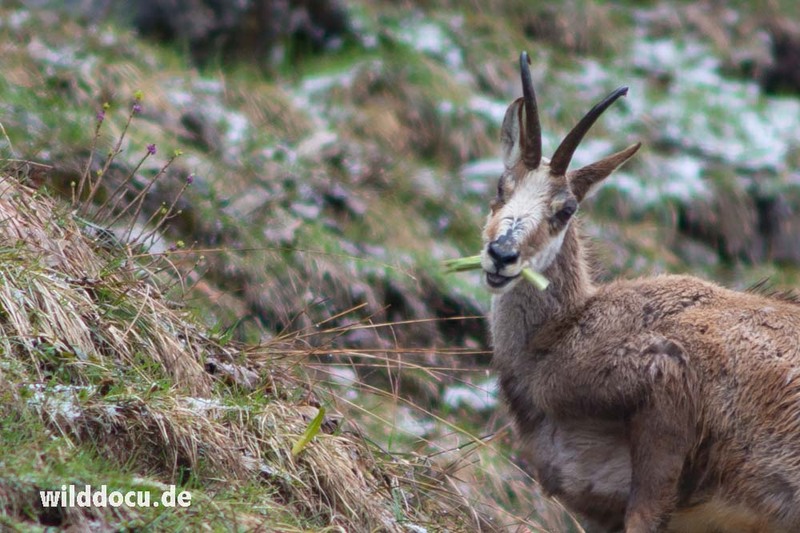 As the weekend tourists leave the area Mouflons fill the plateau. 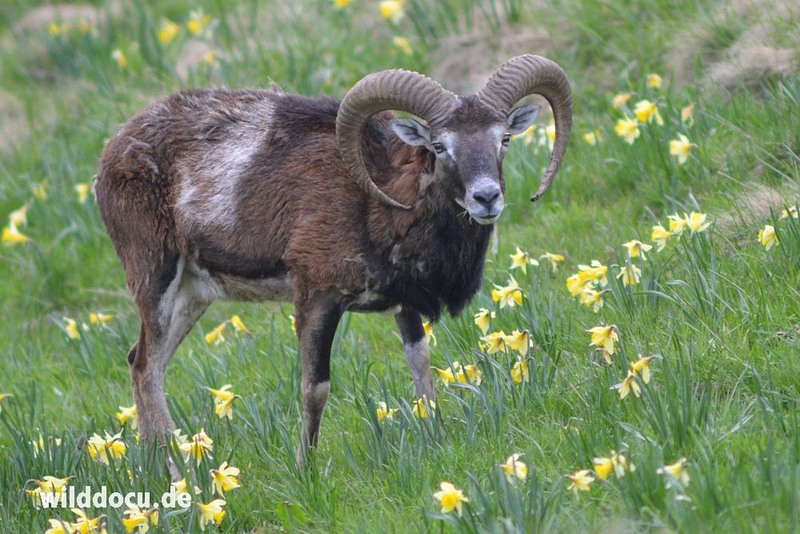 We see a mixed group of around 20 individuals and later a group of six males grazing amidst the sea of daffodils. I never saw them browsing on daffodils. 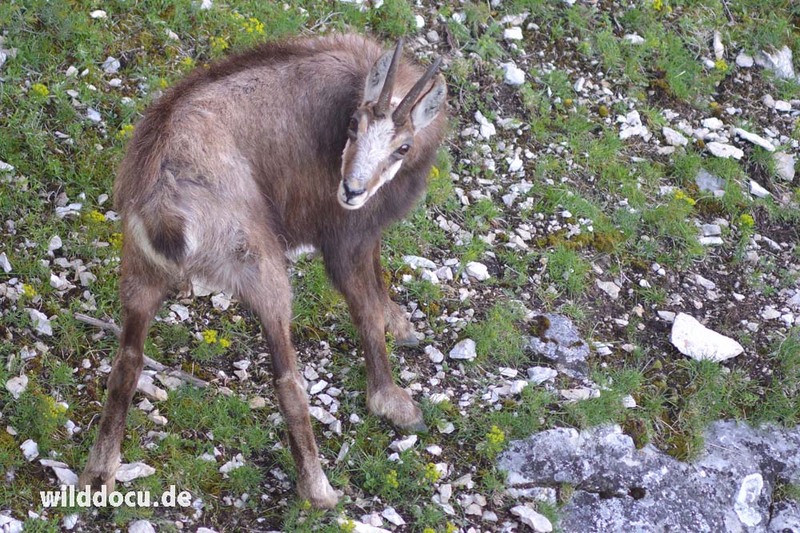 Even though the pelage of the Chamois looks a bit shaggy at this time of the year, I can not remember to have seen a more heart-warming scene with Mouflons. On balance I would say: If you want to see European Mouflon, come to Charmant Som in May during the daffodil bloom! You won’t regret it!